The ASEAN (Association of Southeast Asian Nations) Culture House is celebrating its first year in operation. The eye-catching building pays tribute to the traditional architecture of Southeast Asia with its prominent roof, eaves and terrace. The architecture also symbolizes the ACH’s vision of enhancing a local understanding of the many cultures and societies of ASEAN’s member states and promoting mutual awareness and friendship between the people of Korea and the peoples of ASEAN. 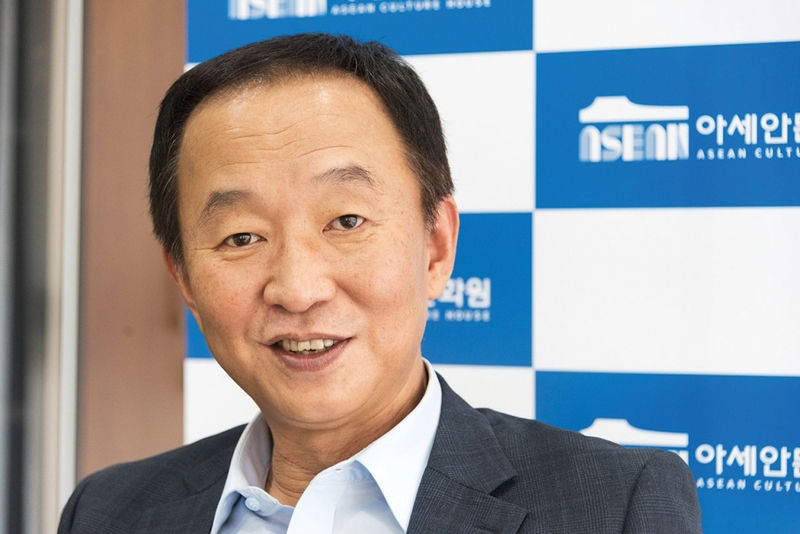 To execute its vision, the ACH aims to provide Koreans with accurate information about ASEAN and its member states. It also seeks to deepen mutual understanding between Koreans and local expats from ASEAN nations. 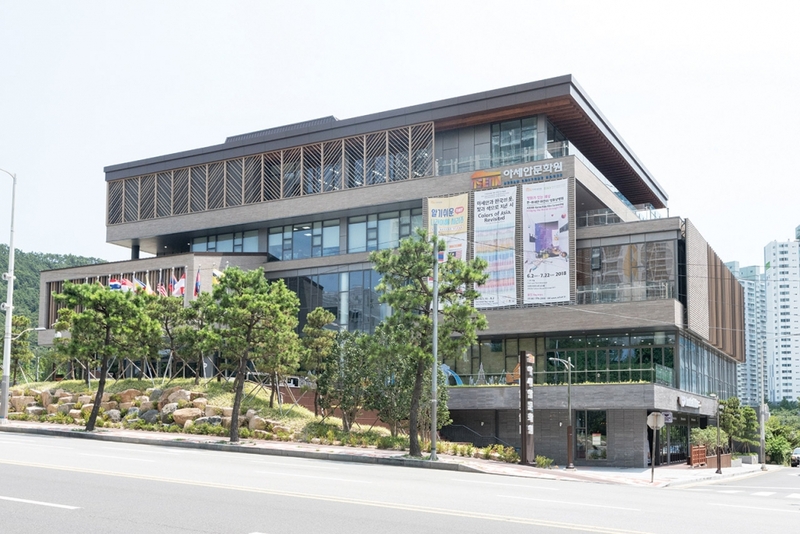 The complex initiates cultural and academic networks between Korea and ASEAN, too, and functions as a community center for ASEAN missions in Korea. Lastly, it also promotes ASEAN-related diplomatic cooperation in central and local government. With this in mind, the ACH hosts exhibitions of art from ASEAN member states, cultural performances, film festivals and cultural festivals, maintains educational spaces, invites lecturers and promotes person-to-person cultural exchanges. No effort was spared in making the ASEAN Culture House an ideal space for cultural exchange. 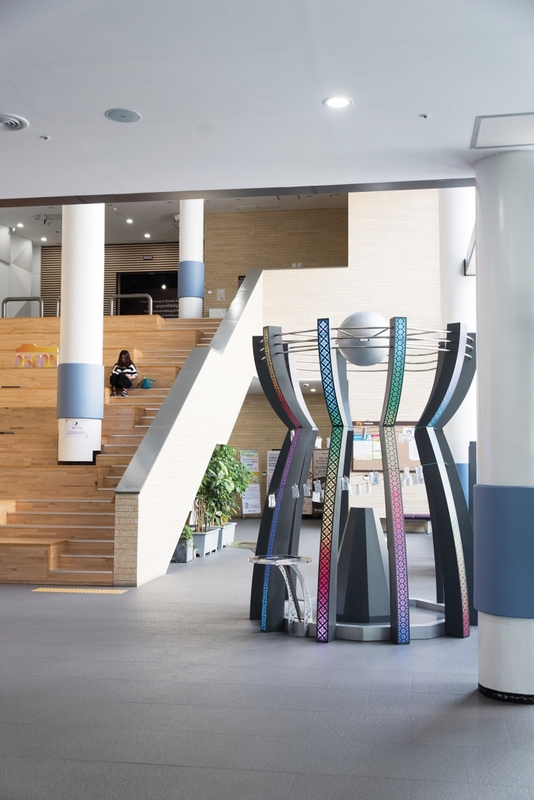 The four-floor complex boasts dedicated spaces for exhibitions, performances, lectures and classes. To enhance learning and create an immersive experience, designers incorporated the latest in information technology, including virtual reality. The immersion begins right from the high, well-lit Community Hall, a lobby where visitors can sit, relax and reflect on what they’ve learned. 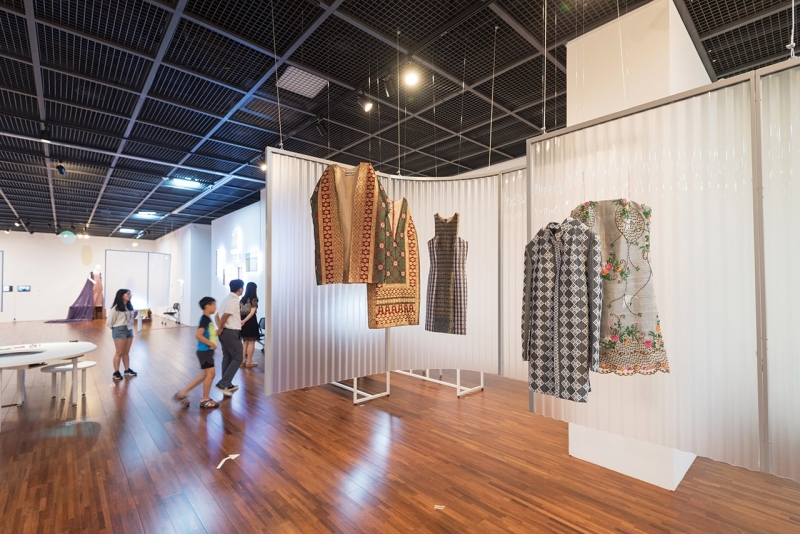 Also on the ground floor is the Special Exhibition Gallery, which hosts themed exhibitions from ASEAN members states as well as ones to commemorate important events in Korea-ASEAN relations. Past exhibits have included a commemorative exhibit of clothing from ASEAN nations and Korea to celebrate the first year anniversary of ASEAN Culture House, a photo exhibit on ASEAN lives and an exhibit of works by young Vietnamese and Korean artists to celebrate 25 years of diplomatic ties between Seoul and Hanoi. The ground floor houses the ASEAN Cultural Heritage VR Experience Room, too. 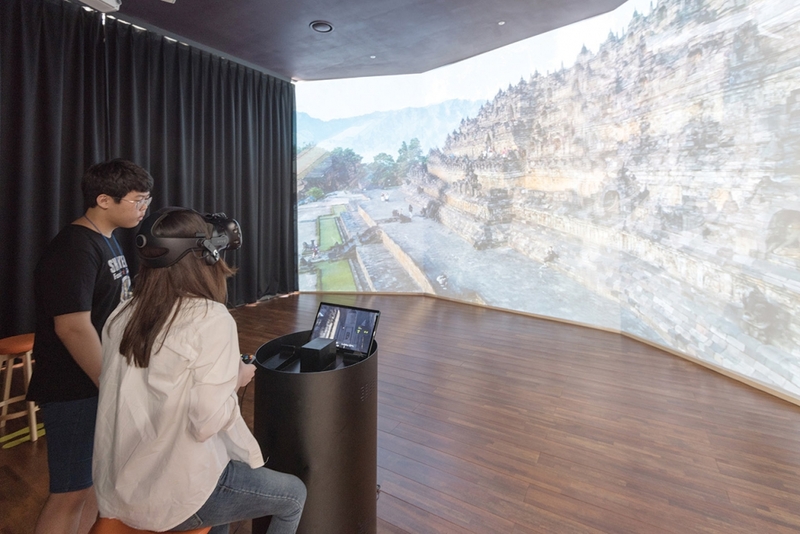 This is where you can use virtual reality technology to experience and explore important historical monuments and UNESCO World Heritage Sites in ASEAN member states such as Cambodia’s Angkor Wat, Indonesia’s Borobudur Temple and Myanmar’s temples of Bagan. The second floor houses the Permanent Exhibition Gallery. Here you’ll find fascinating displays of arts, crafts and media from all of ASEAN’s member states. 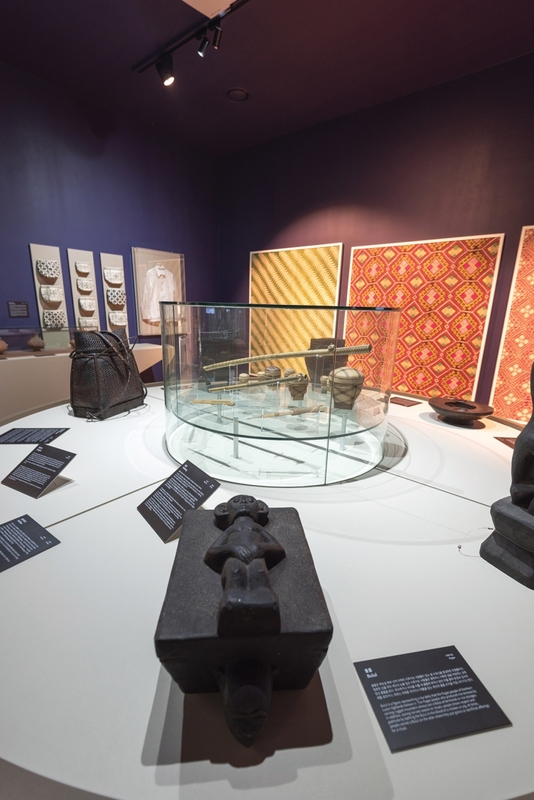 The embassies of member states donated many of the items on display. There’s also a seminar room for academic and cultural programs, including lectures by ASEAN cultural figures and researchers. The seminar room also hosts classes on the arts and crafts of ASEAN nations. A dedicated space for cultural exchange programs is on the third floor. Children, youth, college students and multicultural families come here to learn and promote an understanding of one another’s culture. For instance, on the day of this writer’s visit, the foreign-born spouses of local multicultural families were learning to make Korean dishes such as soybean paste stew. The ACH hosts demonstrations of the performing arts at the ACH Hall on the fourth floor. Music and dance troupes from ASEAN member states perform here. 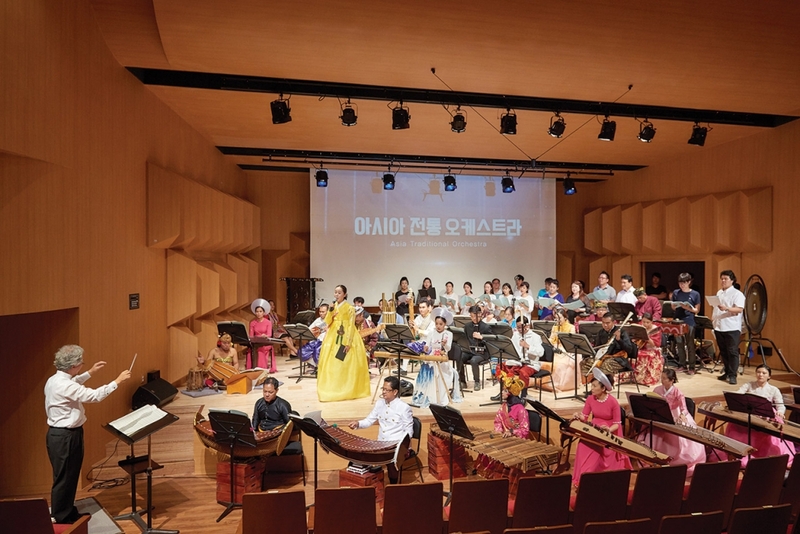 The hall has held various shows, including a recital by the young star pianist Poom Prommachart of Thailand to celebrate the 60th anniversary of diplomatic ties between Seoul and Bangkok and the Korea-ASEAN Flute Festival, featuring 44 traditional flutists from Korea and ASEAN member states. The hall also hosts screenings of films from ASEAN nations. As these films are not widely available in Korea, this is a real treat for film buffs. Sat-Sun 10 A.M. – 7 P.M.